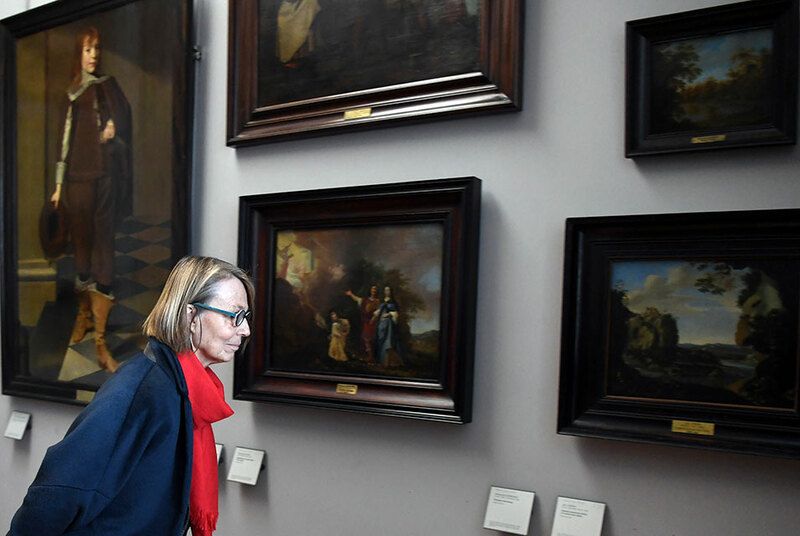 French Culture Minister Francoise Nyssen visits two rooms of the Louvre museum dedicated to the presentation of 31 paintings of MNR (National Museums Recoveries register), recovered after the Second World War, on February 12, 2018, at the Culture Ministry in Paris. ALAIN JOCARD / AFP. PARIS (AFP).- France returned three paintings by the Flemish master Joachim Patinir Monday to the descendants of a Jewish family who were forced to sell them as they fled the Nazis.